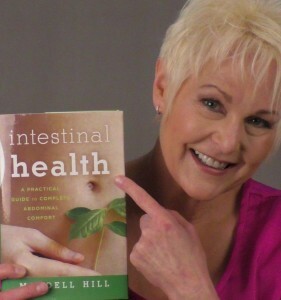 Mardell Hill is an i-ACT Certified Colon Therapist. She trained as a colonic therapist and has built a successful cleansing business since 2005, combining a long standing history in athletic training, postrehabilitation, nutrition and functional fitness training into helping clients achieve optimum health. She has successfully treated more than 3,000 clients. She encourages people to blend alternative and standardized medicine to complement, support, and maximize their health as a whole. Following Mardell Hill’s simple formula, anyone can reduce their digestive disorder or pain symptoms by identifying their unique path to self-recovery. While some may seek medical care, others may try an alternative route; still others try to selfmedicate, and yet many still suffer even after various treatments. 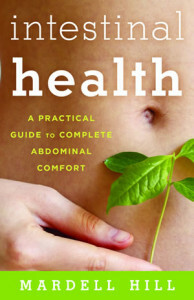 Today people want effective, safe, and natural solutions for digestive health and care. Here, then, is a practical, easy-to-use guide that walks readers through the various issues they may confront, how to prevent them, and how to get relief should symptoms crop up. It covers a wide range of common ailments, complaints, and illnesses. * Offers a holistic approach. * Addresses common questions that may not have been thought about, but should be known. * Includes preventive measures, as well as treatment approaches.